Naturopathic Medicine is the art and science of diagnosis, treatment and prevention of disease using natural, non-pharmaceutical methods. Naturopathic doctors focus on optimizing health and wellness through individualized patient care and health education. Naturopathic medicine is appropriate for any person, of any age, who is interested in being involved and proactive in their healthcare. Licensed Naturopathic Doctors (NDs) are the most highly trained practitioners in the broadest scope of natural medical modalities. Dr Ma, ND graduated from Queens with a dual degree in Bachelor of Life Sciences (Honours) and a Bachelor of Music in Classical Voice. She then went on to receive her Doctorate in Naturopathic Medicine from the Canadian College of Naturopathic Medicine in 2015. She is committed to running a family practice and is dedicated to providing quality, individualized health care using a variety of modalities. Dr. Ma is also certified to provide facial rejuvenation acupuncture as well as acupuncture for your aches and pains. She has a special interest in women's health, endocrinology, digestive concerns and pain management. 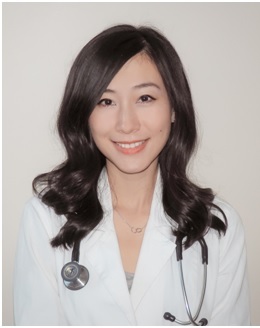 Dr Ma, ND is available Monday and Tuesday evenings from 4-8pm and Saturdays from 9-11:30am. Can’t find a time? Give us a call and we can help!